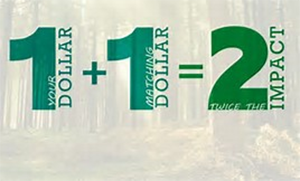 Double the impact of your monetary donations and volunteer service through Employer Matching Programs! Your employer may be among the 15,000+ companies that match employee charitable contributions. While most of these companies match funds on a dollar for dollar basis, some contribute 2 or 3 dollars for each dollar donated by an employee or retiree. Many employers will also contribute funds to the Park Foundation based on the number of volunteer hours served at the Fairfax County Park Authority/Park Foundation by an employee or retiree. The following employers are some that match employee donations to the Park Foundation and/or volunteer service hours to the Park Authority/Park Foundation. Allstate, AT&T, BAE Systems, Bank of America, Boeing, Booz Allen Hamilton, Cisco Systems, CVS Health, Dominion Energy, ExxonMobil, Gannett, General Dynamics, Google, Graham Holding & Washington Post, Kaplan, Harris Corporation, Hewlett Packard, Home Depot, IBM, Kaiser Permanente, Kohl's Corporation, McDonald's, Microsoft, Nestle USA, Neuberger Berman, Nordstrom, Inc., Northrop Grumman, Oracle, PEW, PricewaterhouseCoopers, Robert Half, Starbucks, Time Warner Cable, T-Mobile, USAA, VeriSign, Verizon, Volkswagen of America, W. W. Grainger, Wal-Mart. Make your monetary contribution to the Fairfax County Park Foundation. Follow your employer’s guidelines to complete and submit the necessary paperwork to the employer. Name the Fairfax County Park Foundation (Tax ID #54-2019179), as the recipient of these programs. Your employer will contact us to confirm your gift. Volunteer with the Fairfax County Park Authority and/or Park Foundation. Your employer will contact us to confirm your volunteer hours. 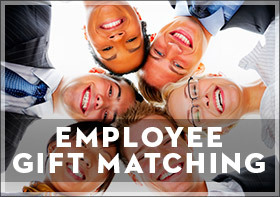 Employer matching gift funds will be applied to the same designation as specified by the employee/retiree. Volunteer matching gift funds will help the park or program where you volunteer. Please contact us if you have questions how you can double your much-appreciated support of Fairfax County parks! 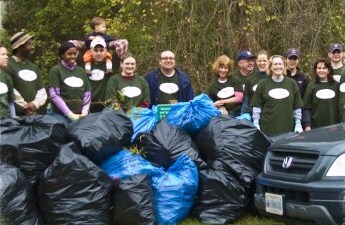 Volunteers are a valued partner with Fairfax County Parks. By contributing your time and talent to fill the needs of the parks, your support makes it possible to offer the services and spaces enjoyed by the community. Challenging and rewarding opportunities exist in nature centers, historic sites, gardens, neighborhood parks, athletic fields, recreation centers and golf courses. Find volunteer opportunities at the Fairfax County Park Authority. Thank you to the many individuals who have lent their talents since Fairfax County Parks began. There is much to be done. We look forward to more joining us.